Painting your boat, whether it’s personal or commercial, fresh or sea water vessel, doesn’t have to be complicated, and it doesn’t have to be expensive. Rawlins Paints stock a wide range of marine paint products, including deck paint, antifouling paint, bilge paint, marine gloss, boot-topping, ice breaker low friction coatings and more. We also offer products for the harshest marine environments, such as coatings to protect offshore structures that are submerged in tidal areas, as well as commercial trading vessels. If you’re not sure which marine coating you need, call or email our Technical Team for a rundown of our portfolio. 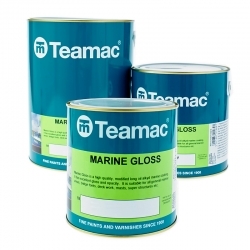 Teamac Marine Gloss is a high end marine coating with excellent opacity and high gloss finish, suitable for all general marine areas above the waterline; bridge fronts, deckwork, masts, superstructures etc. benefits from excellent adhesion. Anti-slip marine coating specially made for the decks of sea faring vessels which is a ready mixed, aggregated coating which provides a rough anti-slip finish when dry to provide extra protection for crew-members while traversing the deck of a boat in motion or vessel in rough seas. 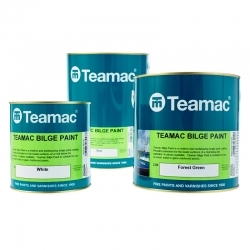 Teamac Bilge Paint provides protection for the inside surfaces of the hull below the water line. 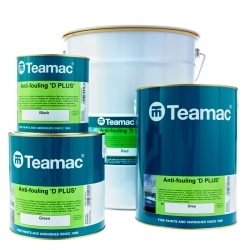 A resilient and hardwearing single pack coating providing available in 4 colours. 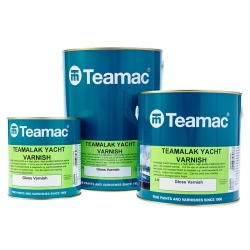 Teamac Teamalak Yacht Varnish is an extremely high gloss varnish and a marine grade coating for use on all wood surfaces where a high gloss, UV resistant finish is required for example yacht woodwork and furniture. Teamac Deck Paint Smooth is a conventional, durable, protective coating for wood and metal decks. It can be used on suitably prepared wood and metal decks as well as directly to GRP decks. 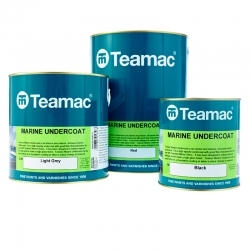 Teamac Boot-topping is an interface coating for use between the waterline and the deck coatings, provides a hard surface less receptive to marine growth and is polish-able to remove grime. Our ethos is to offer lesser known brands that do not compromise on a quality finish, meaning we can offer products that work at a fraction of the cost of market leaders. Teamac boat paint comes in several types, including Teamac Marine Gloss and Teamac Antifoul paint. Teamac’s marine gloss is a superior marine coating with a high gloss finish, suitable for lots of different marine areas above the water line, including masts, bridge fronts and deck work. It’s available in assorted colours and should be applied by roller or brush. If you’re looking for a yacht varnish, then Teamac Teamalak yacht varnish is a good choice. It can be used on all wood surfaces where you need a high gloss, UV resistant finish. This could include furniture on deck or woodwork on the outside of the yacht. 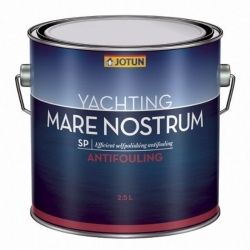 Jotun Spontan Varnish is an easy to use, one component coating with a gloss finish, making it an ideal marine varnish choice. As with many of our marine coatings (but not all, so make sure you check! ), Spontan can be applied as a spray or with a brush. Teamac High Performance Finish is a two-pack top coat that will increase the durability of wood, metal and GRP surfaces on your vessel. It’s specifically designed as a marine topcoat and consists of a basecoat and hardener available in lots of assorted colours. 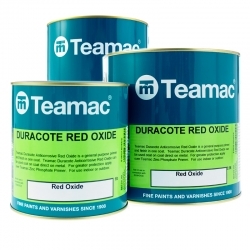 For a combined primer and topcoat for use on marine metal, select Teamac Duracote Red Oxide paint. It’s a general-purpose coating for metal and can be used inside and outside, so it’s perfect for lots of different marine uses. It’s important to find the right anti slip deck coating to ensure safety on deck. 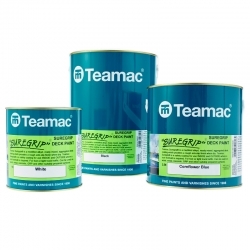 Teamac Suregrip Deck Paint is a specifically formulated deck coating for sea faring vessels. Already mixed and aggregated, Suregrip deck paint gives a rough anti-slip finish, making it safe for crew members to walk on deck even in rough seas. Available in lots of distinct colours, Suregrip can only be applied with a brush and is suitable for use on metal, wood, concrete and GRP. 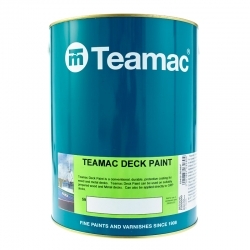 Alternatively, Teamac Deck Paint Smooth is a protective coating designed to increase the durability and lifespan of wood, metal and GRP decks. Before you apply this deck paint, you need to make sure the surfaces are dry, clean and free from any contaminants, and if you are applying directly onto GRP you’ll need to abrade the surface before spraying, brushing or rolling the deck paint. Boot-topping paint products are used to paint the area of a hull between the load line and the waterline of a vessel. It’s specifically formulated to provide antifouling qualities in that it’s less receptive to marine growth. It’s also polishable so it’s easy to clean. 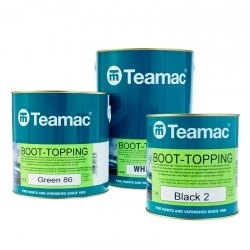 Teamac Boot-topping paint is a very hard-wearing finish and is water and weather resistant. It can be used directly onto GRP surfaces, but others will have to be primed and prepared properly with a suitable primer product.